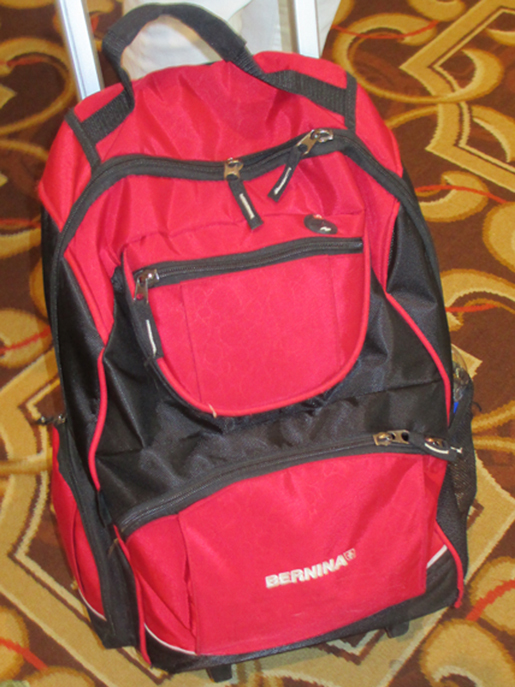 A few weeks ago I went to BERNINA University, our annual dealer event – four days filled with classes, new product introductions, more classes, entertainment, and (my favorite part) getting together with BERNINA of America dealers and teachers from all over the United States, as well as visitors from BERNINA distributors outside the USA and from BERNINA International. 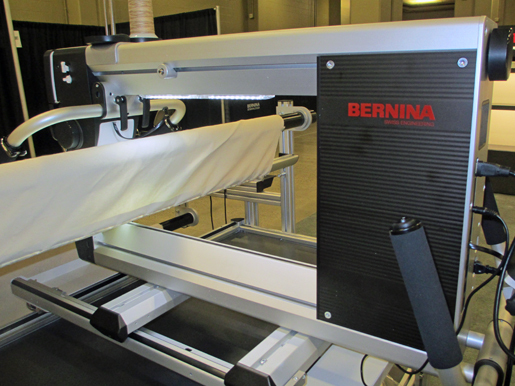 My challenge: Squeeze four and a half days of education and excitement at BERNINA University into no more than 25 photos. Behind the scenes . 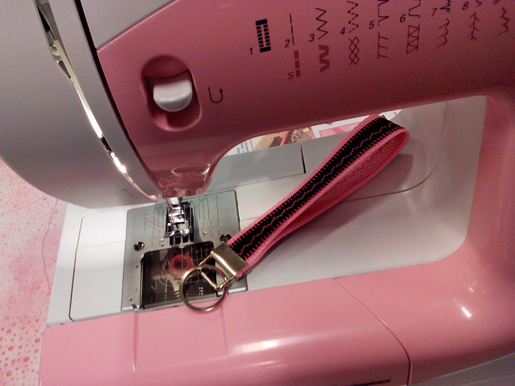 . . sewing machine classroom preparation. 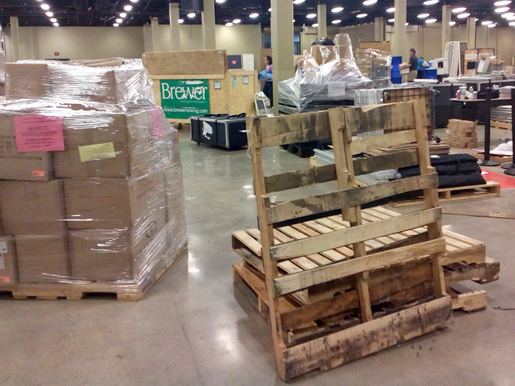 Unpack machines, stow boxes, set up as needed for first class session. 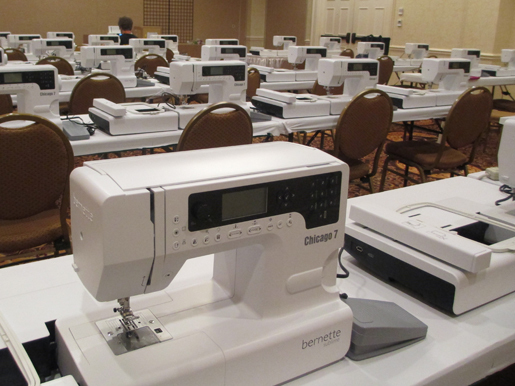 Here, a room of bernette Chicago sewing machines and embroidery units. 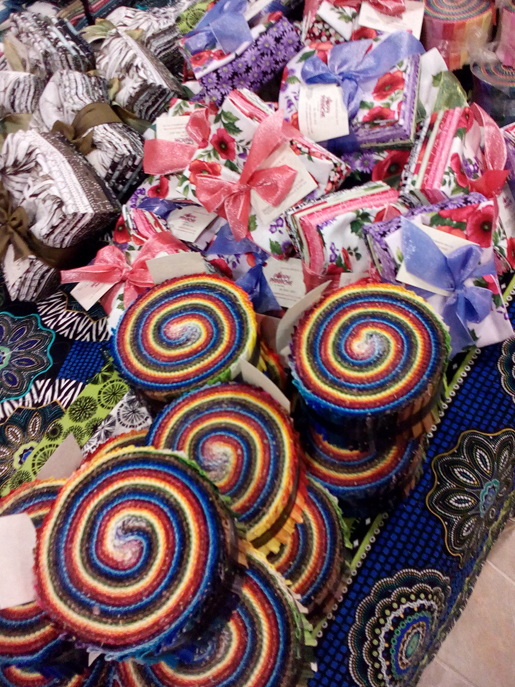 Meanwhile, vendors are setting up in the Merchant Galleria. 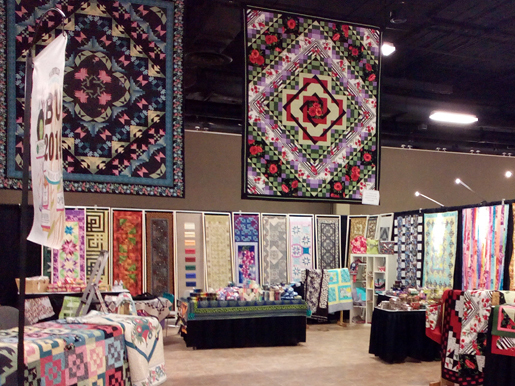 Stunning quilts at the Benartex booth! 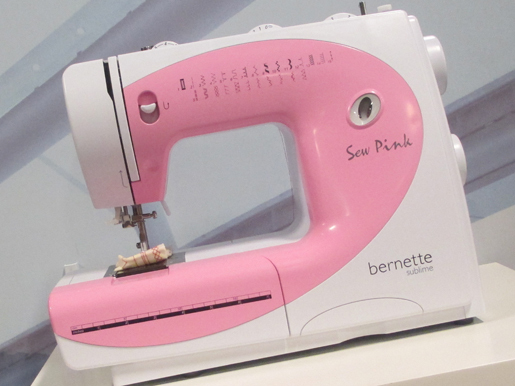 The newest addition to the bernette line – the Sew Pink machine. 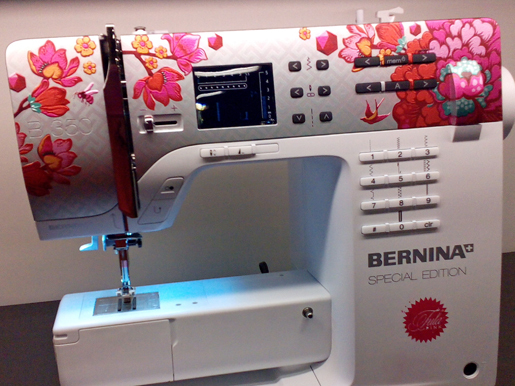 Not available yet, but check with your local BERNINA store this fall and watch the bernette website for more details. 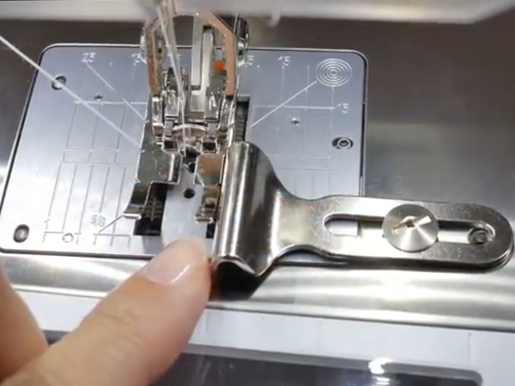 A tiny treasure – the new BERNINA Patchwork Foot #97/97D, specially designed for models with 7 mm feed systems. 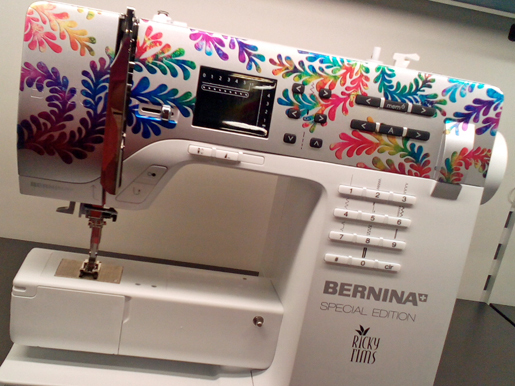 Check with your local BERNINA store for availability later this summer. 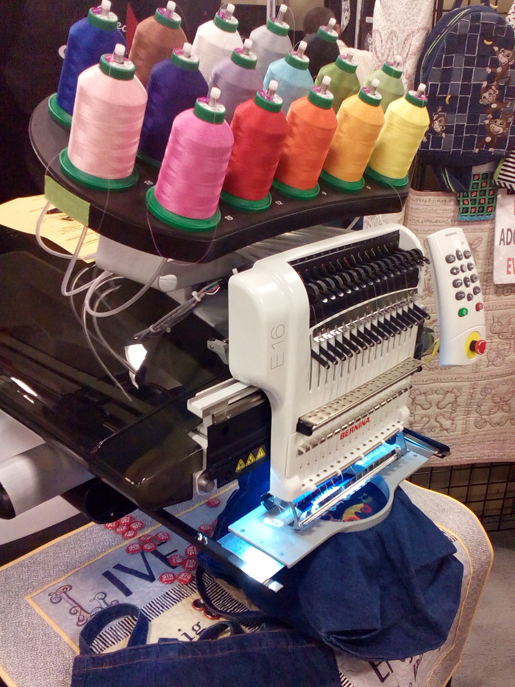 The BERNINA E 16, a sixteen spool multi-needle embroidery machine. 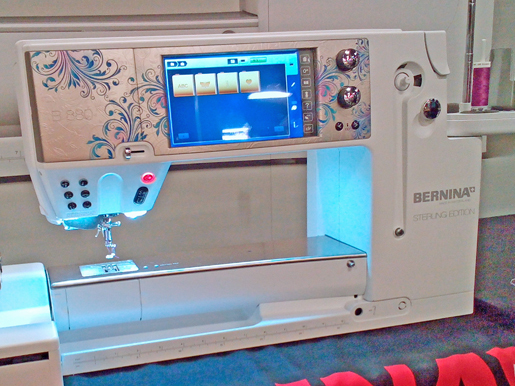 Check out the fabulous features at bernina.com. BERNINA University isn’t all work and classes. 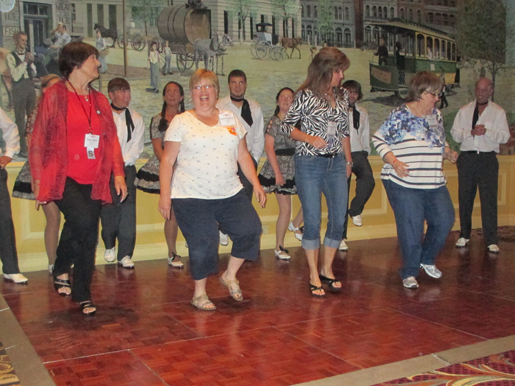 After a southern-style feast we had some after-dinner dancing (a.k.a. clogging) and learned some new steps. 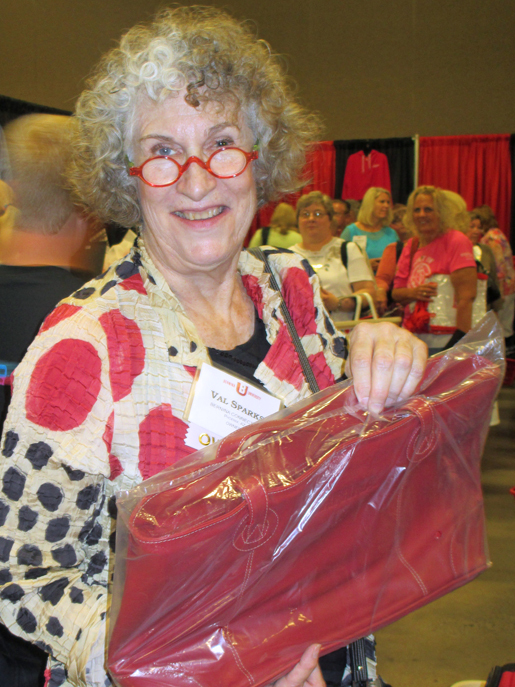 Shopping at the BU Store for t-shirts, totes, and all sorts of BERNINA-branded items. The winners of our WeAllSew Facebook Faceplate Face-Off for the limited edition B 350 are Ricky Tims . . .
. . . and Tula Pink. Which is your favorite? You’ll have to wait a while to get yours, as these very limited edition machines won’t be available until 2015. 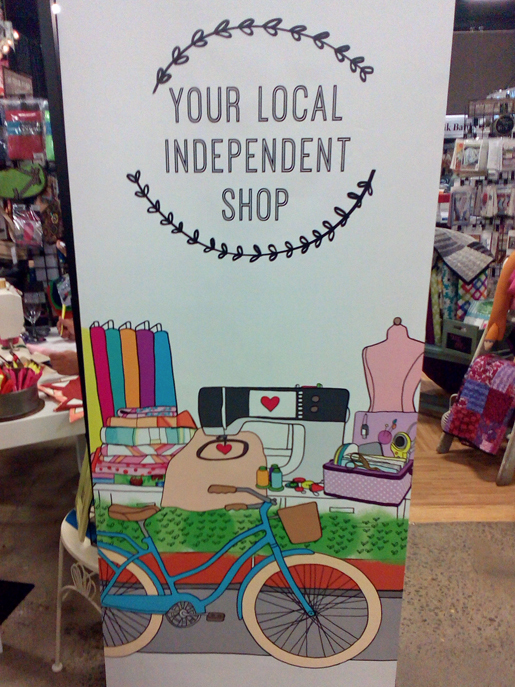 Back to the Merchant Mall to see what’s new . . . 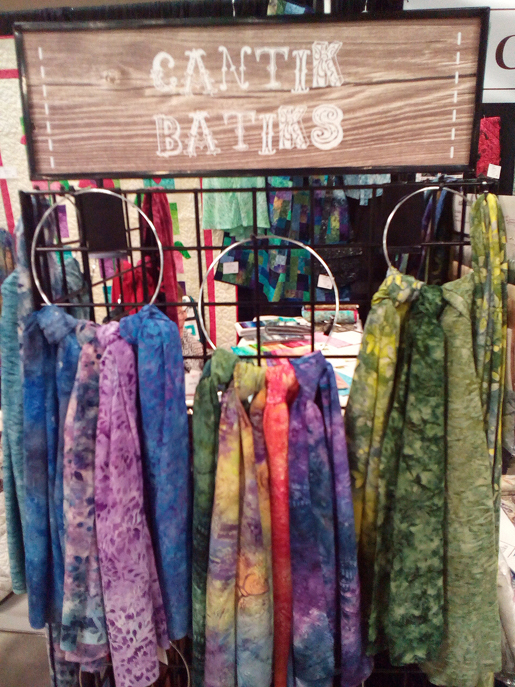 I hope nobody at Brewer saw me drooling over the Cantik Batiks – the rayons are yummy! 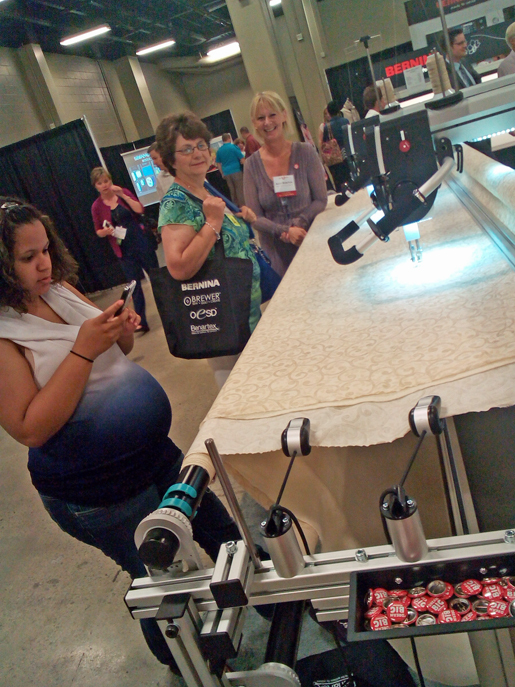 Lots of activity at the Make It & Take It booth, where visitors stitch a keychain on the new bernette Sew Pink machines. 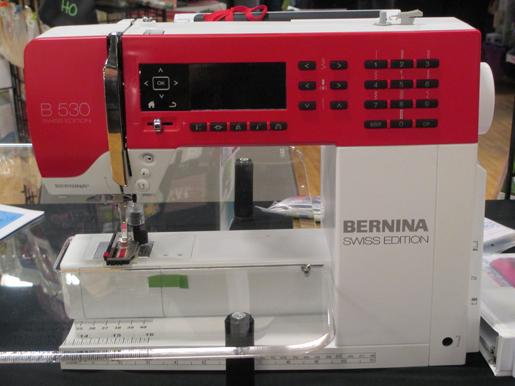 Another not-yet-released BERNINA limited edition sewing machine, the Sterling B 880. Arriving just in time for the 20014 holidays, it’s not just a pretty face – although I do adore the silver/purple/turquoise faceplate. This model comes with BLING! 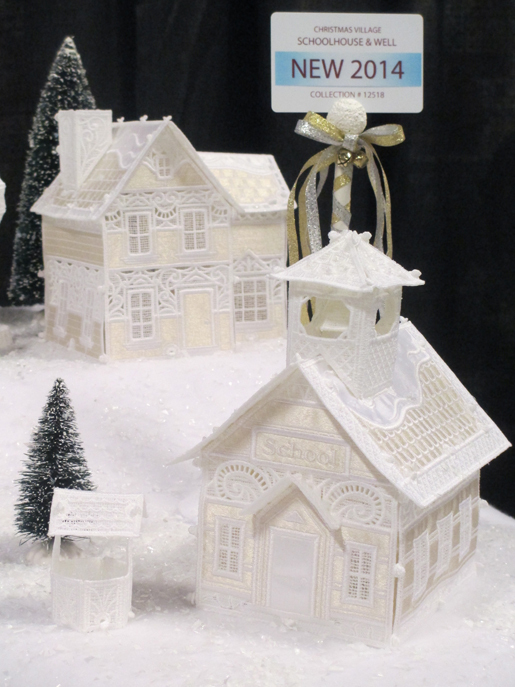 including a Sterling Embroidery Kit with DesignWorks Tools, and more. There’s even an “It’s a Sterling Life” quilt designed by Sarah Vedeler! 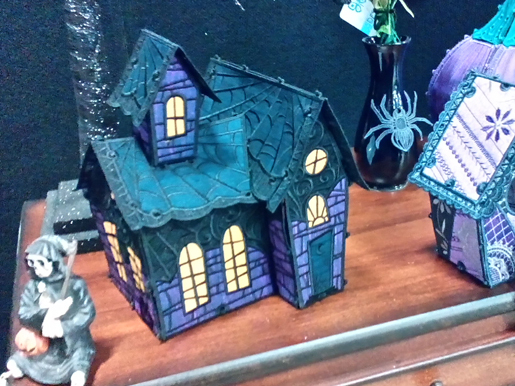 At the OESD booth, a schoolhouse for the lace Christmas Village . . .
. . . and one of my favorites, a Haunted House. This might be my favorite special edition yet – the B 530 Swiss Edition. I’ve always wanted a red sewing machine! Watch for this one later in 2014. Wouldn’t it make a great holiday gift? 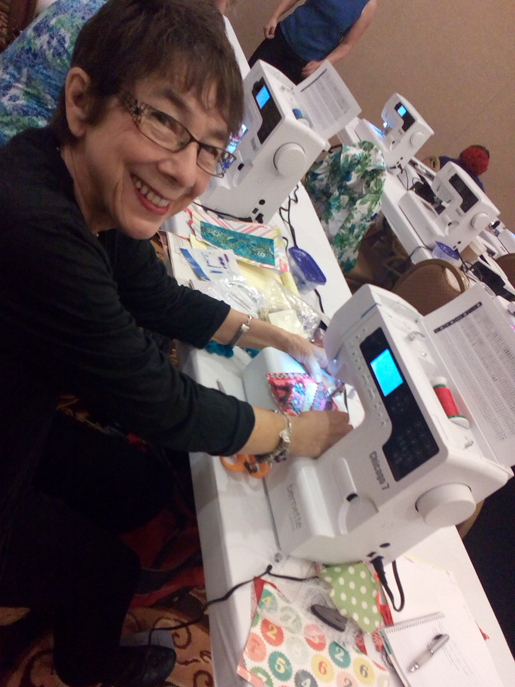 Back in the classrooms, students make ruffled runners on the L 22o cover- and chain-stitch overlocker/serger. Spotted between classes: A new BERNINA rolling tote. 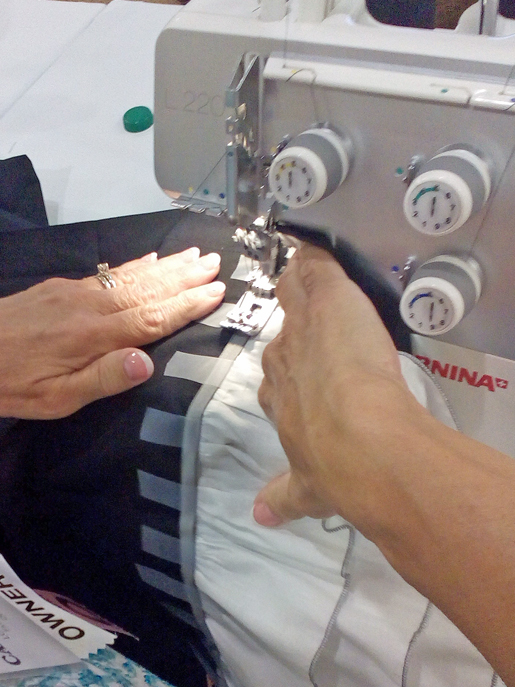 The new BERNINA Q 24– along with the sit-down Q 20 – was a HUGE hit. Watch for it in 2015! More classes, including this hands-on multi-media stitched and embroidered notebook workshop. 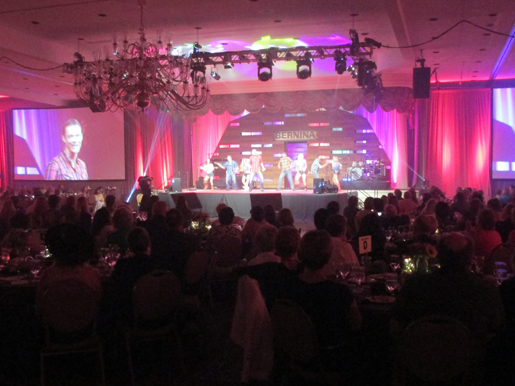 BU’s grand finale – a fabulous banquet, entertainment, and dancing! Monday morning, and another BU is over. Can’t wait to see everyone again next year in Phoenix!